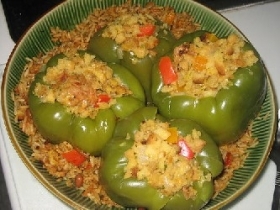 Have you made Barley Stuffed Peppers? 1. Cut top and stem off the peppers. 2. Clean out seeds and inside ribs. 3. Chop onion into course cubes. 4. 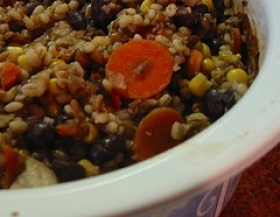 Cook the barley per box instructions. 5. Pre-heat an oven to 350 degrees. 6. Bring water to a boil in a pot big enough to hold the four peppers. 7. 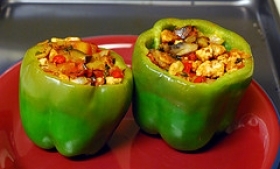 Add peppers to boiling water for about 2 or 3 minutes or until crisp-tender (not soft). 8. Stir fry the onions, garlic, and spices over medium heat for about 7 minutes. 9. Grate the cheddar cheese. 10. 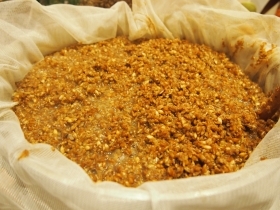 Stir in the barley, grated cheddar cheese and tomato sauce and mix well then remove from heat. 11. 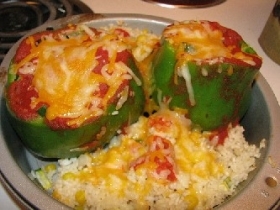 Place peppers in an 8 inch glass pie dish. 12. 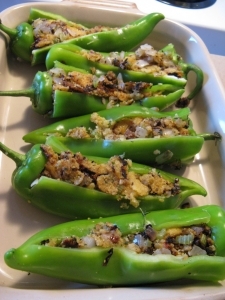 Fill peppers with mixture, cover them with foil and bake in the oven for 25 to 30 minutes. 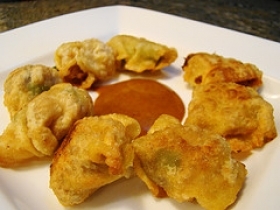 This recipe is a good source of Vitamin A with 10% of your daily recommended intake per serving. This recipe is high in Vitamin C with 29% of your daily recommended intake per serving. 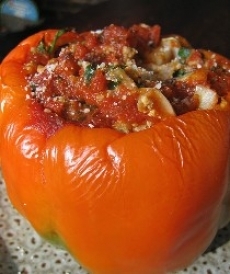 This recipe contains potential food allergens and will effect people with Bell Pepper, Tomato, Cheese, Malt, Garlic, Onion allergies.